Vasaloppet's House in central Mora opened in 1994, and that same year the Vasaloppet Museum opened on the premises. In 2013 the doors opened on a newly renovated museum. The museum has been updated several times since then and for the Winter Week 2017 we opened a special section about "Mora-Nisse", Vasaloppet's greatest icon through the ages. 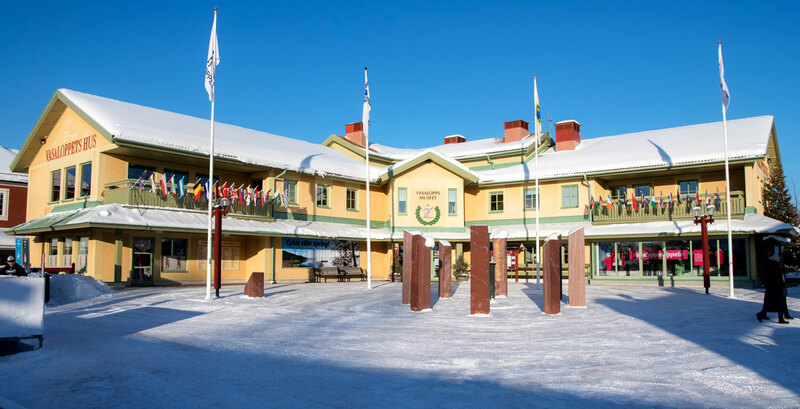 The new museum offers visitors a wide view of Vasaloppet's long history and through modern expression it shows the journey Vasaloppet has taken from being a cross-country race to becoming an arena for exercise and public health all year round. Through our guided tours you can learn even more about Vasaloppet’s long history. Our guided tours must be booked at least a week in advance. Book a tour by calling +46 (0)250-392 00 or mailing bokning@vasaloppet.se. Indicate date, time and number of people. Prices available on request.